Sandhills, scrub, hardwood hammocks and open, wet prairie comprise the Two-Mile Prairie Tract of the Withlacoochee State Forest, an Important Bird Area. The multi-use, Johnson Pond Trail will take you past its namesake pond, where an observation deck provides views of Anhinga, Green Heron, Little Blue Heron, Wood Duck and Blue-winged Teal. Sandhill Crane, Wilson’s Snipe and Purple Gallinule are sometimes observed here as well. In migration, watch for Ovenbird, plus Blackburnian, Chestnut-sided and Blackpoll Warblers (among others), Swainson’s Thrush and five species of vireos. The uplands are home to Red-headed Woodpecker, Pileated Woodpecker and Common Ground-Dove all year. 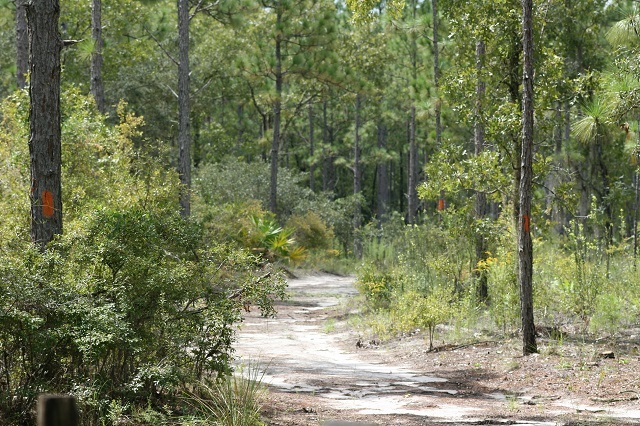 This trail is part of the Florida Forest Service’s Trailwalker Hiking Program. Call for information about this program, additional hiking trails and for primitive camping opportunities on the Two Mile Prairie Tract.